"Recently I read John Bytheway’s newest book, How Do I Know If I Know? I enjoyed it immensely; it is excellent—inspiring and extremely informative. As I read the last page my first thought was that I wanted to buy several copies for my children and grandchildren. It is a solid and substantive treatment of how to gain and retain a testimony. In a day when many of our brothers and sisters are wrestling with matters of faith and conviction, I am grateful to Brother Bytheway for writing this book. I predict that it will bless many, many lives, young and old." This book left me wanting to go and do. to do better and to be better! I have learned so many things already and I cannot wait to learn more. John Bytheway really knows how to describe something quite difficult to describe, to something so simple and easy to ‘FEEL.’ I have definitely felt the spirit through listening to this. 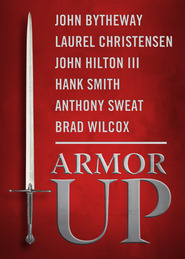 Geared primarily toward the youth, yet it is the perfect book for anyone who is questioning a testimony of the restored gospel of Jesus Christ who has a strong, sincere desire to know. I loved the comparison of a testimony to turning on the light--whether at sunrise or in a darkened room. 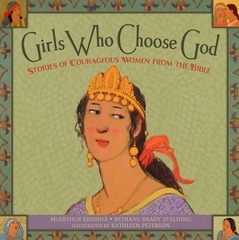 I loved the humor and the fun facts and the peaceful Spirit testifying of truth as I read. Anyone who has teenagers (sons, daughters, grandsons, granddaughters) or works with the youth needs to read this book. It is perfect for anyone preparing to serve a mission--for yourself and those you will teach. Reading this, you will feel strength, you will feel determination, but more than that, you will feel peace. The Spirit will testify as you recognize the light around you. John Bytheway is ABSOLUTELY a FANTASTIC TEACHER! He keeps you entertained while helping you understand gospel truths! A twenty-three-year-old man was called to be the Stake President. At the Conference one of the General Authorities attending suggested that they undo this calling for the man did not bear a strong testimony that he knew the gospel was true. When asked about it this, the young Stake President admitted that he truly did not know that it was true. Then the President of the Church who was also in attendance simply said with a laugh, "He knows it. The only thing that he does not know is that he does know it." Who was this young Stake President? Do you sometimes wonder if you know? *Can it be possible to know that he Church is true, but not know that you know? *Is a testimony that hard to detect? To put it in an acronym we must "F.E.E.L the truthfulness of the gospel." This book will help you realizes that though you might not know it all, you know enough. At the end of each chapter there is a "MORE LIGHT ON THE SUBJECT" section that links you to videos and talks to help you gain even greater knowledge. and TRULY A MUST READ! GREAT for ANYONE struggling to know if they have a testimony. Great for Teenagers and Adults! 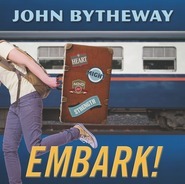 I love John Bytheway's books and this is another fantastic one! He starts off by explaining what a testimony is and different ways to gain one. There are multiple ways and when people don't feel certain things, they can become confused and think they're not getting answers. There are different levels of a testimony so he compares it to a light with a dimmer switch which can keep growing brighter and brighter each day (and, on the flip side, can dim a little more each day, too). He shares four different areas we obtain testimonies: F.E.E.L. (Feel, Experiences, Evidences and Logic). 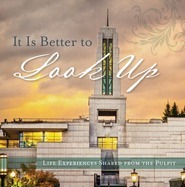 I enjoyed the stories, experiences and scriptures he shared in each of these sections. I especially got a kick out of his "Phineas and Ferb" reference in the Logic chapter (yes, I used to watch that show more than I care to admit). He ends by bringing them all together and sharing his testimony which has grown through all four ways. I also like his advice on page 125: "Whether your testimony is a tiny light, or as bright as the sun, you have to keep it going. To fan the flame of your faith, give it your ALL--Ask, Learn, and Live." This book isn't very long and his writing style will hold the attention of any teenager. It's also high tech with codes to scan for more information, articles and/or videos at the end of each chapter. 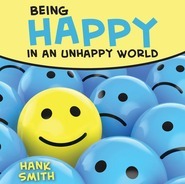 This is a great book for both teenagers and adults! I bought this book after reading the first chapter! I knew I needed this for myself, my youth age children & the YW I teach in my ward. John explains understanding what you know & feel in relation to your testimony & faith. I recommend this book a thousand times over! I have read all of John's books. I have loved every one of them. But this is by far my favorite. Maybe it's because it was something I needed to hear. After the first chapter the way I felt about my testimony had already changed!!! John Bytheway has a way with teaching that makes even difficult concepts understandable. This latest book is no different--I really appreciated John's insights about levels of testimony and comparing that to light. For youth and adults, this is a must-read. We have been listening to this in the car and love it! John has an incredible gift to explain things in a way that everyone can understand and enjoy. This one really gets down to the basics of how to know if you have a testimony. So many kids, and adults, are bombarded by questions and experiences that rock their faith, the beliefs that have blessed them all their lives. 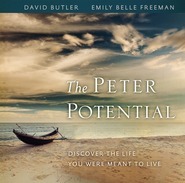 This book helps you to understand how to know what you believe and find strength and confidence in truly knowing.